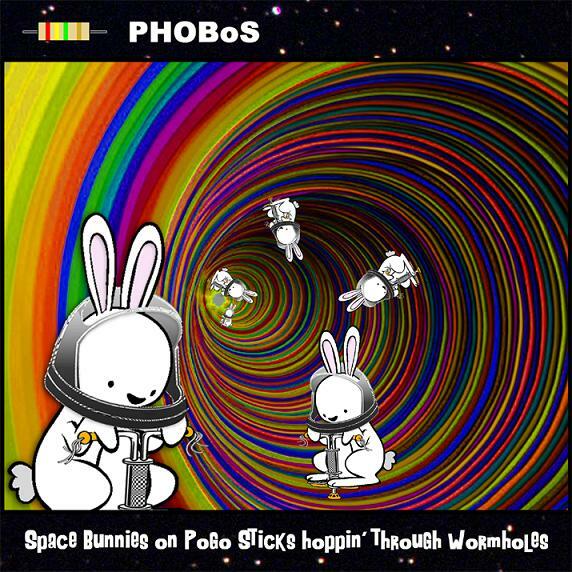 PHOBoS‘ Spacebunnies started as a jam scession of newly created circuit bent instruments and homemade oscillators. After two more tracks were added it grew into a free to download EP. 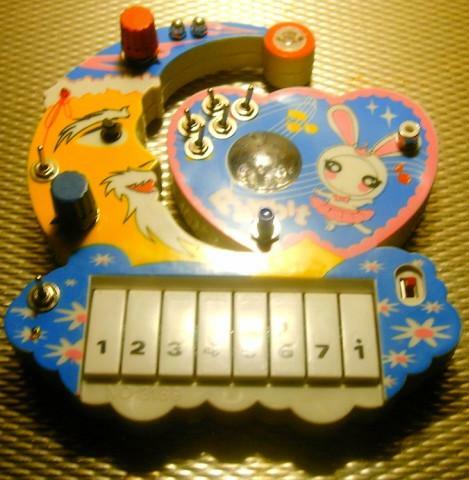 However that is not all because the instruments used on the album can be explored further inside and out on the Artist’s website. Along with some great video and audio samples. 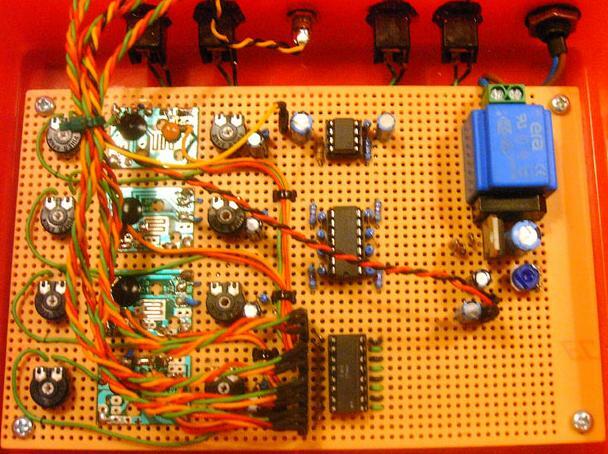 The devices may look innocent enough on the outside, but within the plastic often times reside neatly constructed oscillators, mixers, and sequencer circuits. 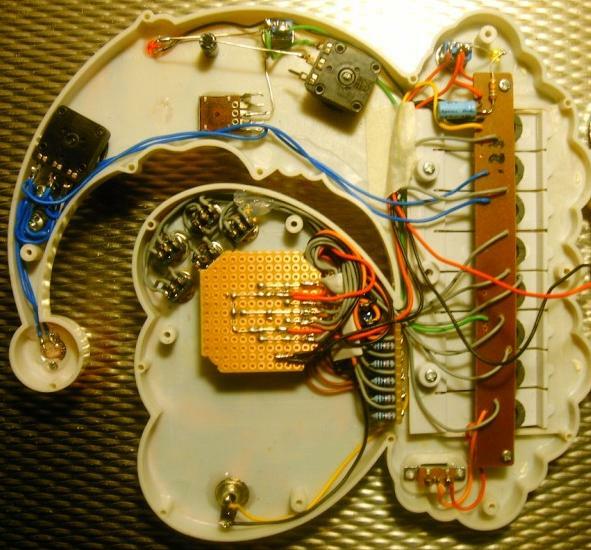 More painstakingly neat circuit bent guts can be found here. Enjoy!